If you have to wonder if someone is your friend, they’re probably not. This was a revelation I had a while back. When I was growing up , I was a very optimistic child. I thought that when someone said something, it was true, and that the face they showed the world was the person they really were. If they said they were my “friend” , I believed them whole-heartedly. I didn’t realize that most people are out for only themselves, and will do whatever it takes to get what they want. But, as I’ve grown older, I understand , that sometimes a person has a ulterior motive, for being your “friend”. It was a hard thing to swallow. I wanted SO much to believe that there was inherent good in all the human race, and that no one was completely evil. I’m afraid that I ‘ve discovered that’s not true either. I have been very blessed in the area of friends. I have quite a few that I could call any hour, of any day, and say I needed something, and they would be there to lift me up, or whatever I needed. The kind of friends you could call a “sure thing”. It’s really difficult to find people like that these days. You don’t have to wonder where they stand with you, or where you stand with them. Honesty prevails. It’s a great feeling to have a friend like that . 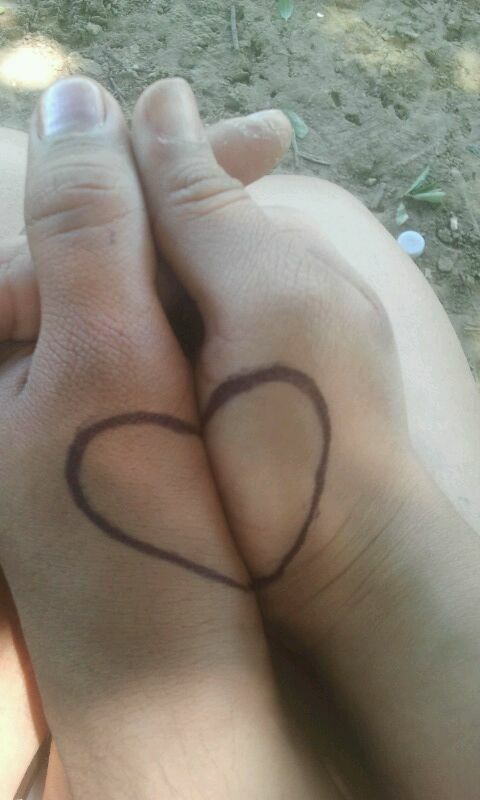 I need stability in a friendship, and an ability to share equally our thoughts, troubles, and joys. A one sided friendship is a terrible drain on your soul. When all you hear is “THEIR” troubles, “THEIR woes”, and so on. You want to listen and to help, but after a while you wonder ……..when do I get a chance to share? Or worse, that “friend” who is only the friend to your face. When they are around other people, they trash talk you , or make light of your struggles. Of course, then there’s the friend who is friendly to you one day, and cold as ice the next. How do you read someone like that? Either you like me, or you don’t . If you DON’T , okay, but tell me to my face. And last of all, the “friend” who is just there for some fringe benefits. Money , popularity, or favors. So really it all boils down to honesty and confidence about the friends you have chosen. If you have to wonder ,”Are they really my friend, or are they using me?” You probably just answered your own question. A REAL friend leaves no room for doubt or confusion. You’ll KNOW who they are, because they’ll be ones standing by you when there is nothing, absolutely nothing in it for them. If I could make a wish, it would be that everyone have a least one person like that in their life. You know when people tell you” Enjoy it now, they’ll be grown before you know it?” Well, I am finding out how incredibly accurate that saying is. My oldest son is going to be 14 at the end of this year, and the youngest 12 years old. I guess it just sinks in with me……..the firstborn will be getting a driver’s permit, some small jobs, a vehicle………..a girlfriend! (shudder, shudder) The craziest thing about it, is that it just happens so gradually. It’s a moment by moment, little by little process. Every day they learn a small something that takes them closer to their goals of being an adult. Steadily moving forward to that uncharted land of adulthood. To me that’s almost more heart wrenching. It’s like peeling a Band-Aid slowly. It would almost be better to just rip it off , one swift jerk, then it would be to do it soooooooooooooo carefully. I mean , don’t get me wrong. I’m enjoying every day of being a parent, and I love my kids more than anything, and I don’t REALLY want them to be grown already. I guess really what I’m trying to say is , I’m being selfish. I want to keep them as pacifier sucking , onesie wearing, sippie cup drinking, kissable babies. I wish sometimes that we were still doing the baby powder bottoms, and the tiny shoes and clothes. I miss the “Hold me Mommy’s !” and the “Kiss my owies.” Of course , there are some things I DON”T miss. I don’t miss 2 am feedings. Or the constant , “NO! Don’t do that’s !” I am grateful that they are maturing into young men and not just young boys. I hope whatever time I have had with them , has made them people the universe needs. And I pray that whatever time I have left to shape them, I put it to good use. So, I know that for every day that I pull the Band-Aid back a little further, that they are growing up, and maybe, just maybe, I am too. Well, I had been on a roll with the blog posting, but did not make it here yesterday. I don’t even really have an excuse , other than I spent most of the day sleeping. I was totally exhausted and don’t even really know why. Okay, the kids have been sick, and the hubby was sick , too. So, I guess if I’m taking care of them AND trying to take care of myself, that might be why, lol. Luckily, it’s just spring allergies or sinus , I think, not doctor worthy, just extra mommy time worthy. But, hey, that’s life. I do think it’s funny how both my kids react completely differently to sickness. My oldest son was born prematurely, and has had numerous health problems, and surgeries. He can be practically dying before he’ll say anything about feeling bad. If he tells you he needs to see the doctor , you had better be taking him seriously, because it’s BAD. My youngest son, however, can stub his toe, and be nearly bedridden. Drama king, for sure. It’s very difficult to take what he says and be empathetic because usually it is just majorly funny! Just imagine, a hand thrown onto a forehead in a dramatic manner …..”Aaaarrrgh! My toe! I’m going to die!” And the Academy Award goes to………Denim! At least he provides entertainment value, anyway. Well, I suppose that’s all that’s new in my neck of the woods today, hope everyone else is well, and enjoying spring. Have a great one everybody! This is taken from the Yahoo!News page. I am in awe of this lady. Talk about aging gracefully in more ways than one. Take that, botoxed 20 year olds! 83-year-old model Daphne Selfe says she’s never had cosmetic surgery. 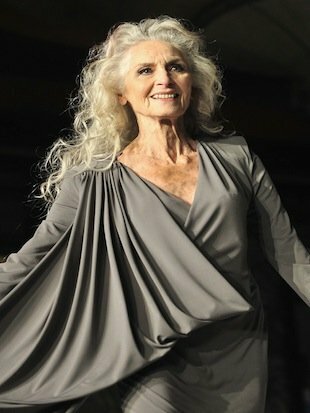 .By Eric Pfeiffer | The Sideshow – Tue, Apr 17, 2012.. .
83-year-old model Daphne Selfe is making headlines this week for her age-defying beauty. But unlike so many of her younger contemporaries, Selfe says she has never taken part in any cosmetic surgery. As part of a marketing campaign, Selfe recently agreed to pose in a bra and corset ensemble first made famous by Madonna during her 1990 Blonde Ambition tour. “I thought they might have done a bit of airbrushing!’ she told the paper. Selfe took the photo for Oxfam’s Big Bra Hunt, which is gathering bra donations to send to woman in developing countries who might not otherwise be able to afford or access them. The Daily Mail says the first shipment of donated bras will be sent to Senegal, West Africa. The group hopes to collect more than 1 million bras. And despite all of the positive attention her new photograph has received, Selfe says she wouldn’t want to be a full-time model today, though she jokingly recalls some of her own past experiences in the industry, when her modeling career first began in the 1950s. She partly credits “good genes” for her longevity but says she also avoided drugs and alcohol while working in the industry. And how has she handled the aging process?